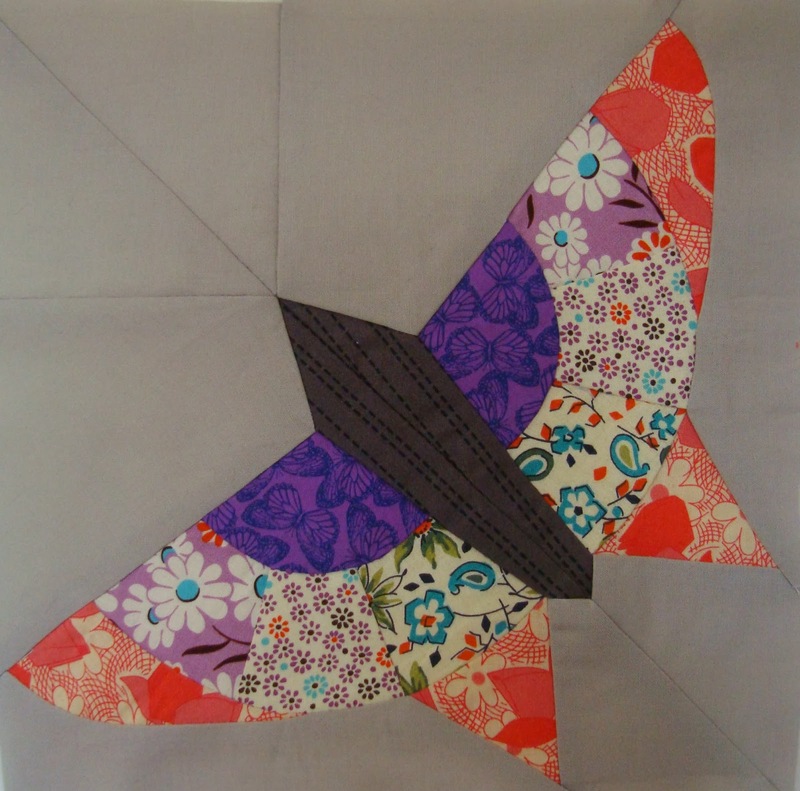 And as a bit of practice before I begin the GTSB quilt I decided to hand sew a butterfly block. Some of my clever bees have done this for the Alice Brooks butterfly, which I am going to do as well and may hand sew that one too but this version is from the book New England Quilt Museum Quilts . It is slightly smaller so I need to add a border but I thought it would be fun to include one using the vintage pattern. I definitely need more practice hand sewing! Love your butterflies, especially the second! My little girl is butterfly mad, and will be very impressed with this when I show her. 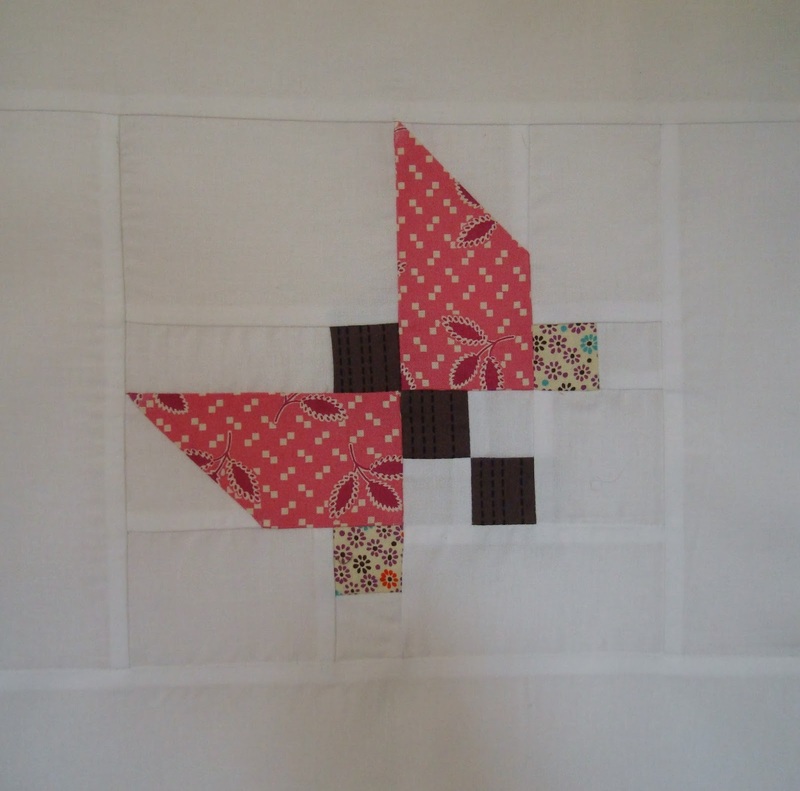 She has a butterfly quilt already but I can feel a butterfly cushion coming on now after seeing your lovely blocks! Hope your daughter loves her quilt when it's finished, I'm sure she will. Awesome butterflies! I love them both, but the colours in the first one are gorgeous. I bookmarked a ton of these cutie butterflies on Pinterest yesterday in hopes of making one or two in the future! Most of them look pretty easy to piece. I love the butterflies you made and your stars are coming out beautifully! Roses and butterflies! It sounds and looks like Spring! All looking good and pretty too. Amazing, I love your butterflies! 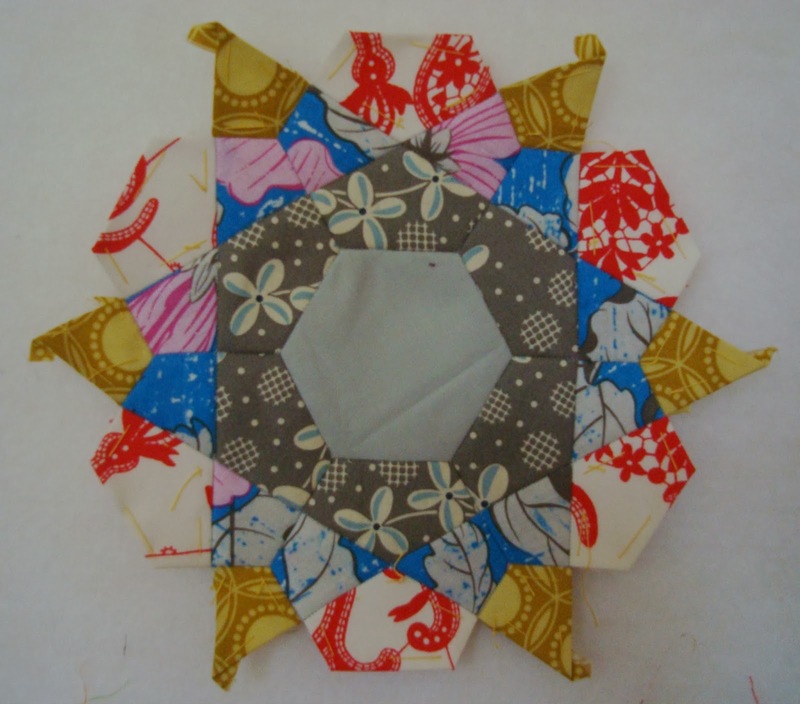 I love the idea of a quilt made of butterflies, so I can't wait to see what you come up with for the finished piece. All gorgous mais bien sur but still loving your EPP!! All of your blocks are so pretty! They make ready for Spring! All of you blocks are looking really lovely Lucy! :) I can't wait to see how your WIP's come together! 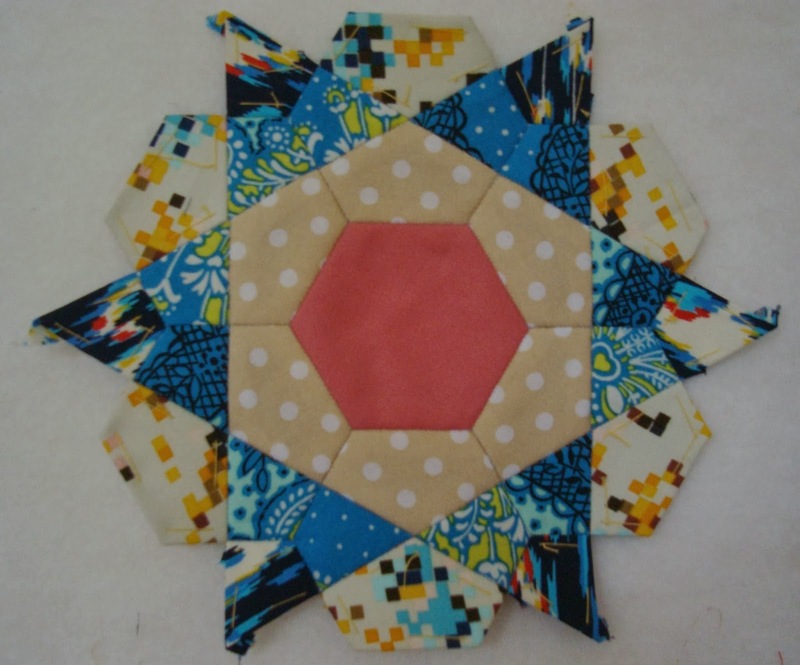 Your rose blocks are gorgeous as usual, Miss L. I can't wait to see more of your butterfly quilt. I think it's going to be a stunner! Your hand piecing looks good from here! I'm really looking forward to seeing how you arrange all these lovely blocks! Your butterflies are so beautiful . Don't you hate having a layout in your head but when you try it it doesn't look the way you imagined. I like the idea of your butterflies being on point. Your EEP blocks are gorgeous too. your butterflies have such a great vintage charm to them and the rose stars are absolutely stunning! it's going to be such a great quilt - both of them. good luck with your hand sewing prep for GTSB ! ps - LOVE your feather quilt!!! so glad you finally have it done. persistence really pays off over time and big quilts DO get finished. =) I'm glad you didn't wait for better weather to take photos, which you can still do later if you want. it turned out amazingly beautiful. what a treasure.